Claudio Grass Gold Global : I was recently at the Gottfried Haberler Conference in Vaduz and had the pleasure of listening to a speech by Hans-Adam II, Prince of Liechtenstein. In his speech, he talked about his book “The State in the Third Millennium” where he propagates the importance of decentralization to the level of the municipality, the right to secession and the privatization of the school system. What are your thoughts on the topic, and would you like to live in such a state?What are your thoughts on the privatization of schools? Do you think it’s a good idea? Dr. Marc Faber, or “Dr. Doom”, is the worldwide renowned Swiss investment advisor and fund manager. After obtaining a PhD in Economics at the age of 24, Faber worked in New York, Zürich and Hong Kong, and has settled in Hong Kong since 1973. 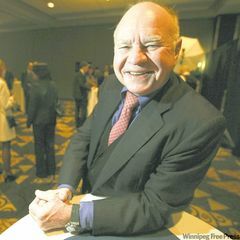 In June 1990, he set up his own business, MARC FABER LIMITED. “The Gloom Boom & Doom Report” is Dr. Faber’s famous monthly newsletter which highlights unusual investment opportunities. He wrote several books, including “TOMORROW’S GOLD – Asia’s Age of Discovery” that appeared in 2002. Dr. Faber is well-known for his “contrarian” investment approach and is internationally famous for a number of bold investment decisions and correct predictions such as in 1987 when he warned his clients to cash out before Black Monday in Wall Street, or 1990 when he expected the burst in the Japanese bubble, or 1993 in the case of the collapse in US gaming stocks as well as warning about the financial crises of 1997/98 and 2008.